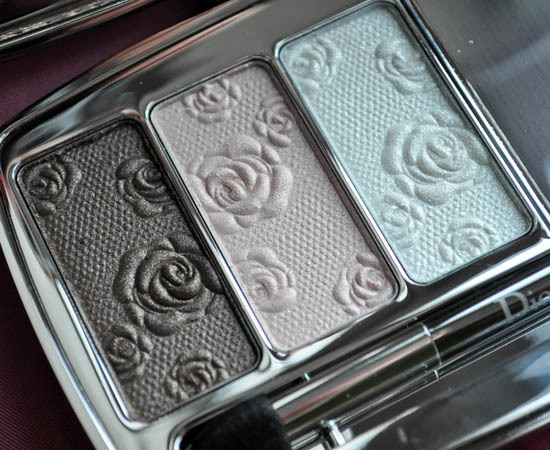 We've previewed Dior's Garden Party collection - arguably one of the nicest new season launches - already and I've a few pieces too for swatchin' purposes. Oh, it's so scrumptious! This is the star of the show but there are lots of stand-out and interesting bits and bobs as it happens. 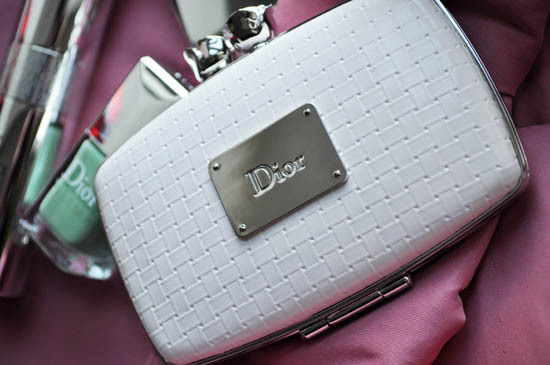 The Dior Garden Clutch, above, is one of two limited edition shade-ways and is exactly the same as the Minauderie from the Christmas 2010 collection. I've gotten Granville Garden to try, the other variety is Milly Garden. Here's the bad news: they're €74. EACH. 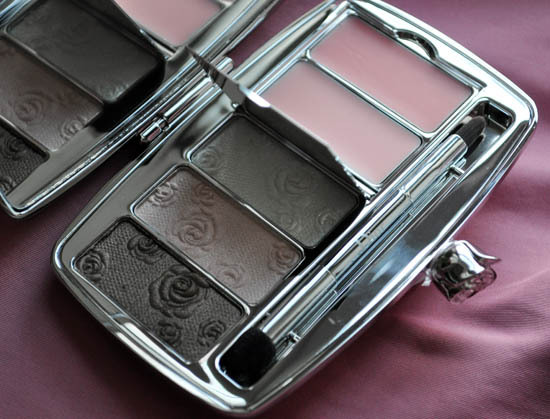 For that you get three shadow shades and two glosses, which are hidden behind a protective metal flap. This is an incredibly pretty, covetable piece of beauty booty, no doubt about it. Closeups of the shadow and gloss shades. And the shadow swatches for the Garden Clutch in Granville Garden. Textures are soft, creamy and medium pigmented. 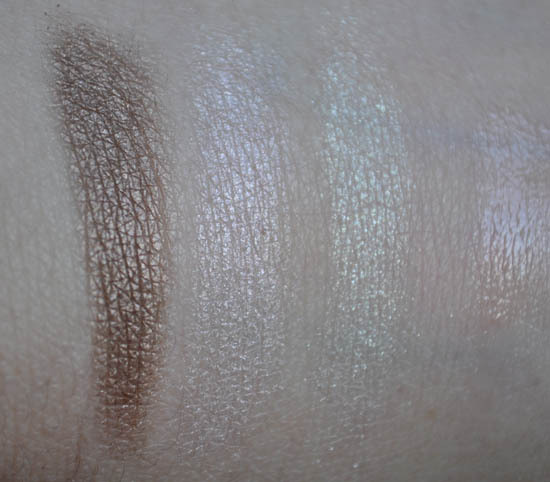 The highlight colour is a bit of a nice surprise - it looks pearly in the pan but has an iridescence to it that's really nice so you'll be able to use this to transform other shades. 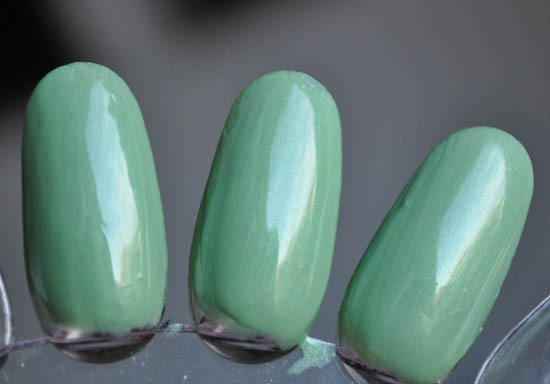 Try this over a black or navy shadow - it'll really make them pop. I haven't swatched the glosses (except for lightly on the right) as they weren't showing up. 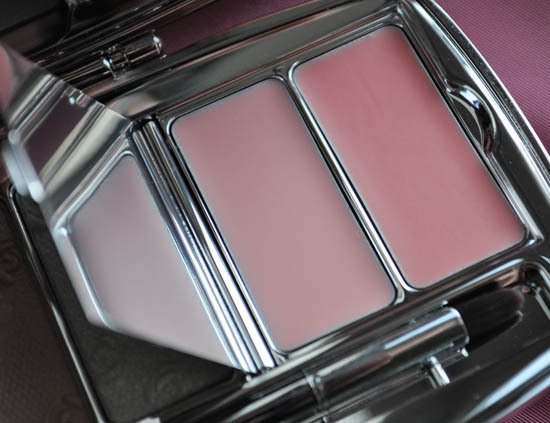 The Rosy Glow blusher is interesting too. At €43, it's also not what you'd call affordable or even an easy weekend splurge, but the pan is big: you get 7.5g for your money. And it's got some fancy gubbins going on too. 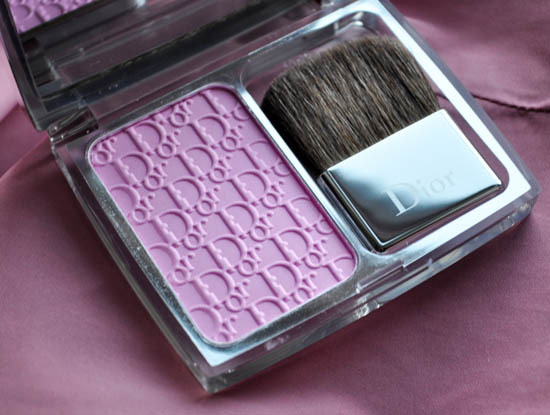 Fresh Colour Reveal Technology enables the blush to intuitively adjust to the moisture level of each skin type to give a fresh, customized colour, apparently. I'm guessing that it's something similar to Smashbox O Glow tech, except in powder form. 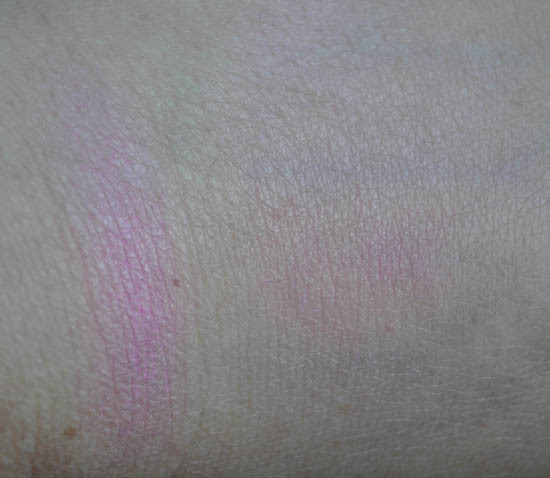 For something so shockingly-pink, thankfully it swatches quite lightly. I've kind of gone off pink blush in favour of corals and terracotta tones but have been trialling this, and it's very pretty. Easy to go overboard with so a light hand is required but it's very finely milled so blends and applies beautifully. No shimmer, just a matte pink flush on the skin. As for the skincare benefits - the jury's out. 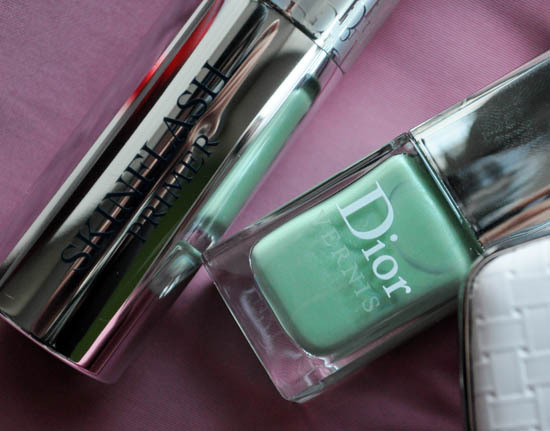 These are Skinflash Primer in Sheer Glow, €41.50, and one of the two nail shades, Dior Vernis in Waterlily, €23. I haven't swatched the primer, but it's a peach-tinted cream that's quite firm-feeling on the skin once blended out and gives 'grip' to your foundation. In other words, it definitely primes skin. It's scented too, yum. 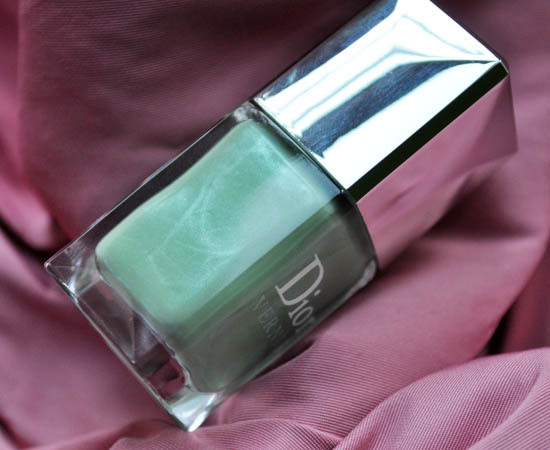 Waterlily, a limited, (apparently) rose-scented nail shade, is absolutely gorgeous. Gorgeous. Look at that shimmer! This is a total knockout. Unfortunately my nails are in absolute rag order at the moment so we'll have to do with some nail wheel shots. I hope you can see the shimmer in this - it's a really, really pretty colour. I'm not getting any scent off it at all, but it could just be my nose. For more shots and pics of the rest of the collection, go to the original post; and now - is there anything that's piquing your interest? 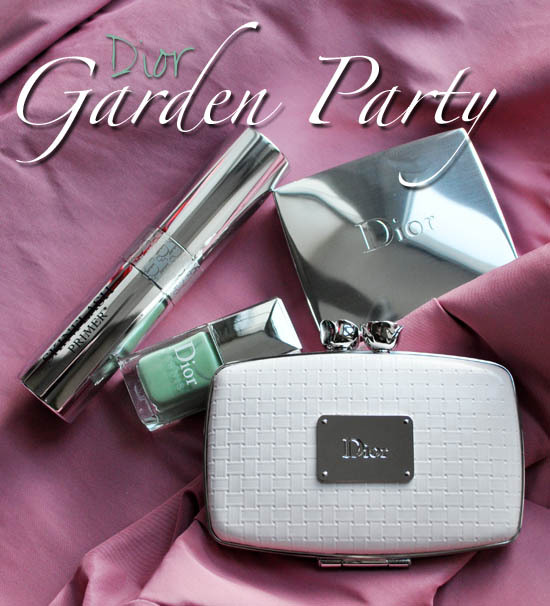 Dior Garden Party is on counter now.